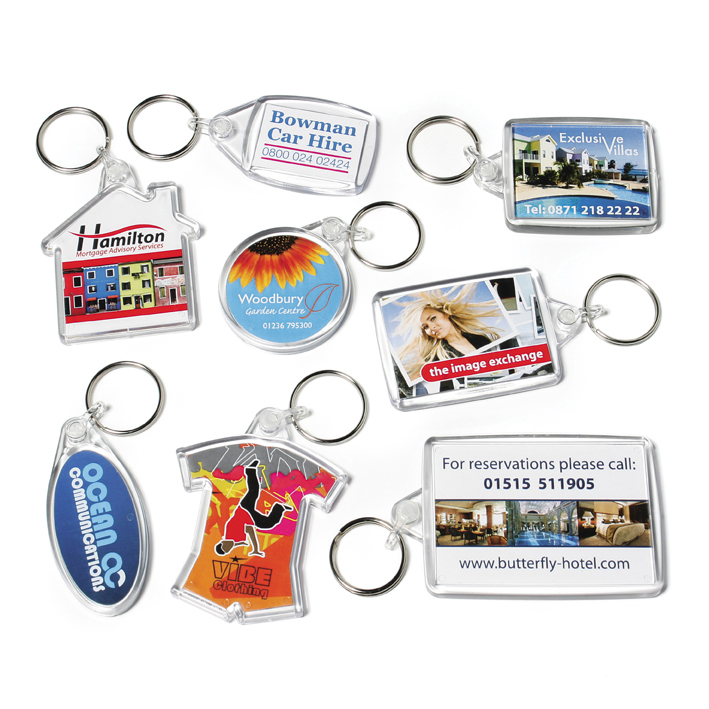 Acrylic Keyrings – available in a range of shapes. Inserts are digitally printed in full colour on both sides. Unit price for standard shapes: 500 @ 65 cent / 1,000 @ 55 cent. Contact us for prices for non-standard styles.